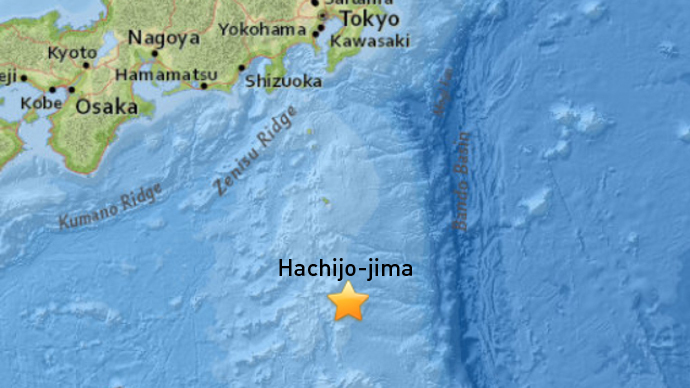 A 5.7-magnitude earthquake has struck 168 km from Japan’s Hachijo-jima island, USGS said, adding that the depth of the quake stood at 10 km. USGS initially placed the magnitude of the quake at 6.1 but later dropped it to 5.7. Hachijo-jima, a volcanic Japanese island in the Philippine Sea, has a population of about 8,000 people. The quake occurred 456 km from the country’s capital, Tokyo, which is home to some 13 million inhabitants.It also struck 359km from the towns of Shimoda, home to 23,000 residents, and Tateyama, which has 28,000 people. In April, southwestern Japan’s Miyakojima and Yaeyama areas were placed on high alert with tsunami warnings after a 6.8-magnitude underwater earthquake struck off Taiwan’s coast. Waves as high as one meter were expected to hit southwestern territories.